Fulfill your kitchen’s potential with a tap that delivers on performance while displaying understated elegance in its design. 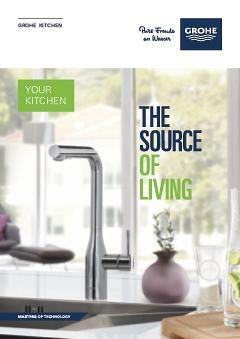 The GROHE Essence mixer tap is the perfect meeting of style and substance. The tap turns through 360˚ for maximum flexibility while the solid metal pull-out comfort shower head has two options – a standard spray and powerful jet spray – that can be switched between with just the push of a button. It’s perfect for achieving a multitude of kitchen tasks with ease, from filling pots to washing vegetables, and cleaning up afterwards. It also extends across the width of a double sink. When you are finished the GROHE EasyDock system also means that the spray head retracts easily back into place. This monobloc mixer contains GROHE SilkMove technology to ensure smooth, accurate water and temperature control for years. Plus the GROHE SuperSteel matt finish is scratch-resistant for a stylish, durable surface that will last and last.